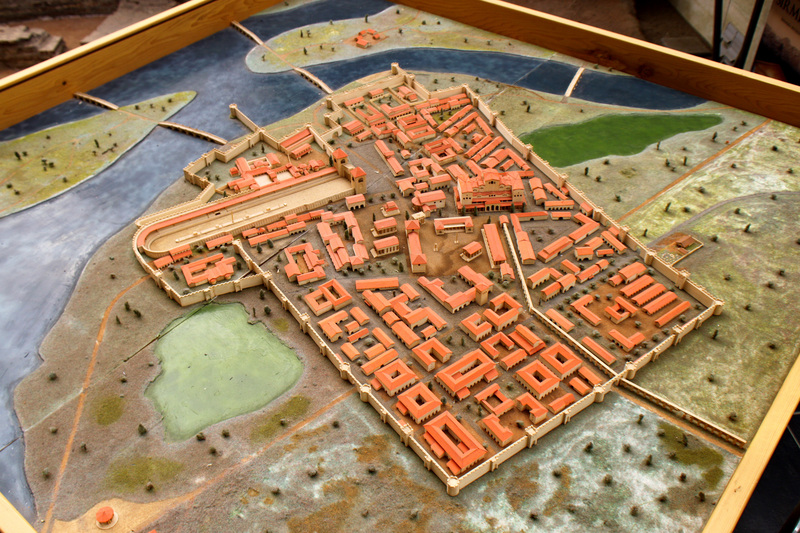 A model of the city of Sirmium. You can see its strategic importance as it sits over the two rivers (The image is from Wikipedia and the model is in the Visitors Center in Sremska Mitrovica). The new Emperor Tiberius II decided to throw the Empire’s strength into the war with Persia. He spends liberally and recruits new men to bolster the Eastern Empire. His General Maurice wins him great victories in the East but the Avars and Slavs are quick to take advantage of the weak Danube frontier. Justin II and Khosrau both leave the stage. Here is a question for your future podcast you requested at the end of this podcast. What was life like for the average Jewish person in the Byzantine Empire during this time period? Were they free to practice their religion or did they face persecution? I would be delighted to hear this topic discussed. Hi. I am very curious in the Eastern front as the “Romans” seems more and more incapable of defeating the Sassanian armies. Does Persia outnumber the Empire now? It would be helpful to know the relative strength of the two empires at this point, e.g. population, troop number, economy. I’d love to hear something about the calendars in use at the time. It was in the sixth century that the “Anno Domini” calendar was developed, but it wasn’t in widespread use for another couple centuries. There’s the Ad Urbe Condita system, but maybe others were in use too? Hi Robin. You’ve taught us so much about what actions the emperors take and what results they yielded in the grand scheme of things, but what I also would really like to learn more about is what daily life looked like for them. I realise that it is probably a very hard thing to tell us more about, because of a lack of sources, but anything you can find out about this would really be greatly appreciated! I agree with Andy’s comment and in fact I was already going to post something similar. Robin, you have made it your own and done a really great job, so you don’t need to keep feeling as though you need to “live up” to THoR. I began listening to THoR from almost the very start. I loved it. I love this show as well. With all due respect to Mike Duncan, I think it’s time to stop your comparisons to his show. You have achieved what you set out to do, and that was to create a first rate podcast about the continuation of the Roman Empire. No one could ever accuse you of a lack of acknowledgement or respect towards Mike and THoR. Hi, Robin. Thank you for the terrific podcast. I am an engineering student and would very much like some more information on the construction of the Hagia Sophia or other structures of the time. Perhaps more easily, I’d like to know about the state of medicine at the time. What could a person of means be expected to endure in terms of the various treatments being used? Loved that subtle plug for the History of Iran Podcast. It was one I was hoping would happen someday. I want to learn about the Persians more, yet sadly it is a subject I know very little about. Besides Vegetius what other miltary hand books would have been availible during the 6th century? Love listeneing to the podcast at work, makes a half hour fly by. Thanks so much. Can you clarify the question. Or clarify what you would be interested in knowing? I will be doing a whole episode on the army surrounding Maurice’s Strategicon. But I wouldn’t go through all the other manuals available as I don’t think that’s of general interest. Did you want a list or a thorough answer because I can provide some direction if you’d like to know more. I have two broad questions/issues that I would like to know more about at around AD 600. The first is that we are between the period of the so-called last Roman emperor (Justinian) and the first Greek one (Heraclius) – as a side note I was under the impression that Justinian was the last native Latin speaking emperor but Robin’s introduction of Tiberius II makes it seem like he was a native Latin speaker. In any case, I am curious as to how much the empire at 600, only a few decades before the transformative rise of Islam, is the same cultural and linguistic construction as it was in 476, or to what extent it has already become or is on the way to becoming the less Roman, more Greek empire of later centuries. Post-Justinian, does the empire still see itself now as the universal Roman empire, or has it moved on? 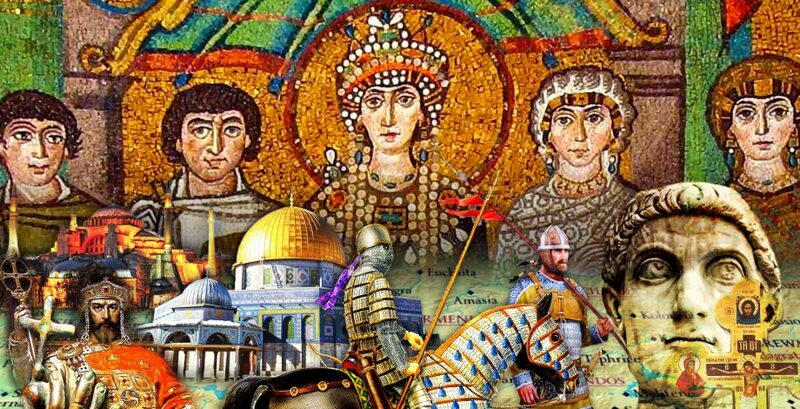 The second thing I’m curious about is Byzantium’s relationship with the western Barbarian kingdoms at this time, I guess mostly the Visigoths and the Franks, and more specifically, the way these kingdoms saw the empire in 600. To them, was it still the old revered Roman empire, the biggest kid on the block? Or had they moved beyond the old idea of a unified Mediterranean empire and basically deemed Byzantium to be pretty irrelevant to them at this time? I recall Clovis receiving the title of consul from a Byzantine emperor around this time (or earlier) and being pretty pleased with it, so I wonder what kind of prominence or prestige the empire still had in its former provinces. Are there already differences/disputes between the eastern and western church, or does that only come later with Iconoclasm, Charlemagne’s crowning as Roman emperor / the papacy seeking a new protector, etc? Hey guys, I will announce this on the podcast today but if I don’t comment on your question then I have added it to the list and will answer it on a future episode. If I comment it will be with some kind of question asking for clarification. Thanks so much.